The Dundas West Business Improvement Area (BIA) encompasses approximately 175 operating businesses in the city of Toronto. It is a very vibrant community where the entertainment, arts and fashion industries reside. In addition to the numerous art murals in the area, the area is the home to approximately 15 art galleries, stores selling unique artifacts, renowned photography galleries and tattoo shops. There are approximately 20 stores for shopping for vintage and fashion clothing and accessories for the entire family (including your dog), and over 20 hair salons, barber shops, and skin and wellness centers. The area is also home to a variety of restaurants, cafes, bakeries lounges and bars. 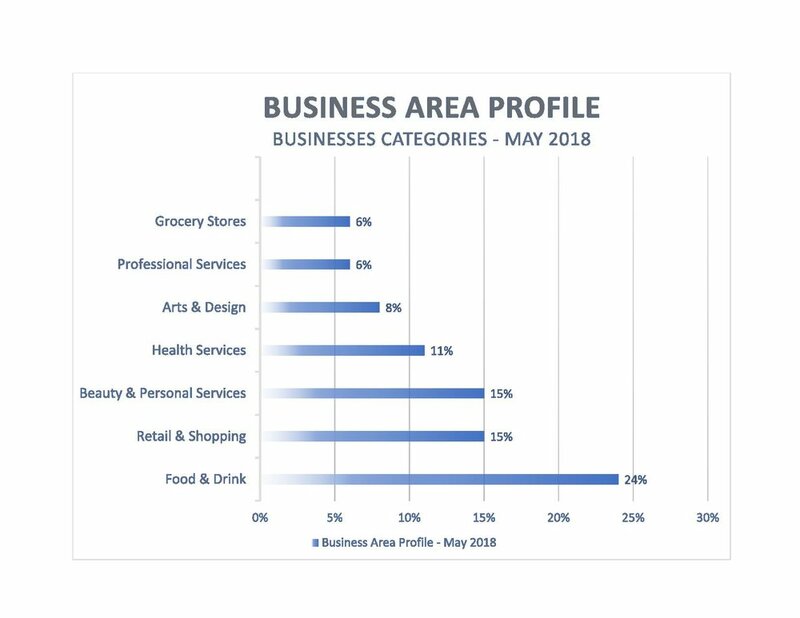 Our May 2018 survey indicated that there were approximately 25 restaurants and cafes, and 20 bars and lounges in the Dundas West BIA.